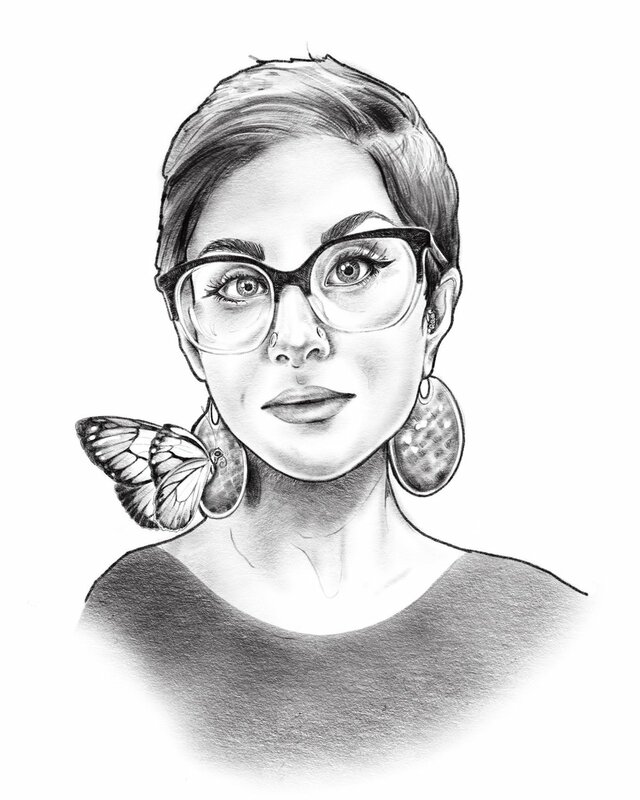 While completing a degree in Neuroscience, Ellis discovered a love for natural history, paying close attention to the lesser-known fauna and insects. The precision and detail required of scientific illustration posed a unique challenge, which the colored pencil medium complimented exceptionally. Ellis’ natural history and biological illustrations have been published in the Brushfire Literary Arts Journal, and the Nevada Sagebrush. In “Essential Qualities, Unique Disposition” Ellis’ first Natural History illustration exhibit nature is defined by the artist. The show can be summed up by her statement that “each species requires essential qualities to survive and interact as a single-species, yet there must be uniqueness, allelic variation, within that species or the population will fail.” Ellis applies the same principle to her work. In each piece there is scientific accuracy, but with a slight almost unnoticeable variation or inaccuracy. It is the variation that makes the illustration succeed as Art. Nature provides a subject matter, and Ellis pays respect to the subject matter by acknowledging the flaws. None of Ellis’ artworks attempt to be more perfect than the real thing. Megan has participated in many events in her hometown of Reno, Nevada, such events include the 2014-16 Midtown Artwalks, 2014 and 2016“Hot one-inch action” Button show at Reno Art Works, all three editions of Eric Santti’s ‘project series’ 2015 Lasting Dose Grand opening, and ‘Creepshow’, and Never Ender’s 2015 and 2016 ‘Broken Hearts Collide’ show.